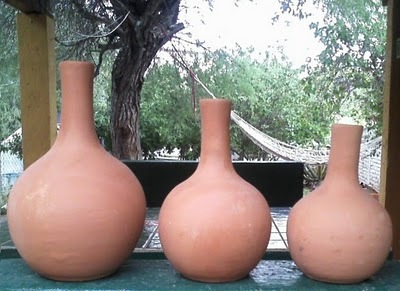 Some of us may remember pots or clay pots as favorite objects of our grandmothers, especially in Latin America. The mud has been used since pre-Hispanic times for cooking, and even for agriculture. I came across this clay-based irrigation method from “El colectivo El Traspatio”. These group of vegetable-growers from Guanajuato used to promote the use of interior spaces in people´s homes to grow different types of vegetables. Las Ollitas Sol is a product that El Traspatio rescued from millenary agricultural traditions. 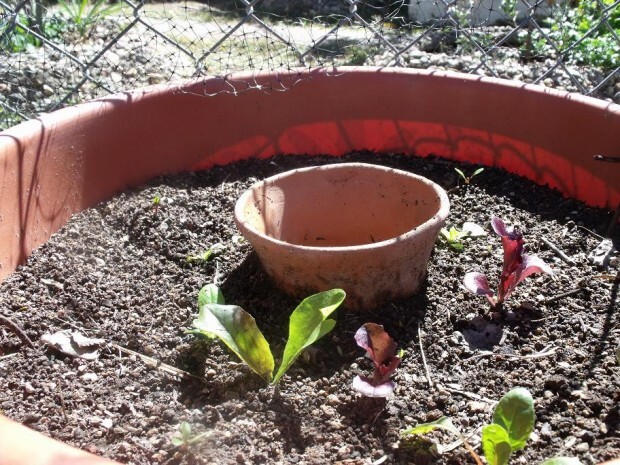 It´s based on the use of clay pots for growing plants and vegetables. In Mexico, this irrigation technique was called as olladines but traces of this method can be found in other continents dating back over 2,000 years. The concept is very simple, a clay pot buried and filled with water. The plants around it to drink for up to a week, as the pot prevents water from seeping deeper, but allows the roots of plants to absorb the water through the clay pot. The productivity that can be achieved with this form of irrigation reaches 2.5 to 6 kilos for every 1,000 liters of water used. Compared to other irrigation systems, such as drip irrigation, only 1.4 kilos of production is often achieved. There is very little space needed to cultivate with this method, only one square meter of space is enough to start growing some vegetables. For around 4 dollars, worth of clay pot, it is possible to start learning this water-efficient irrigation method. 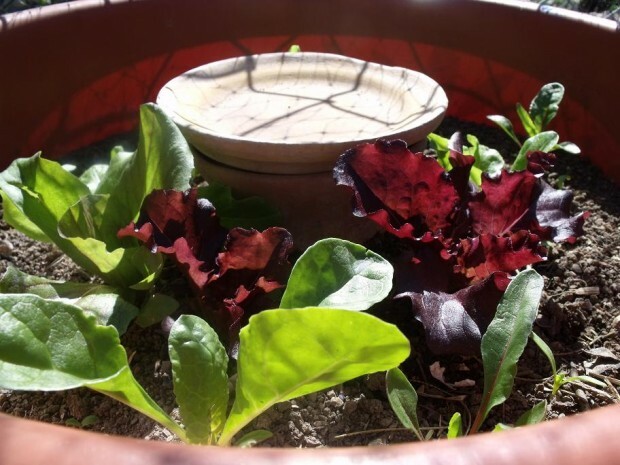 Ollitas Sol, before and after, growing acelgas and lettuce. The clay pot is buried in a plastic, water-proof pot.